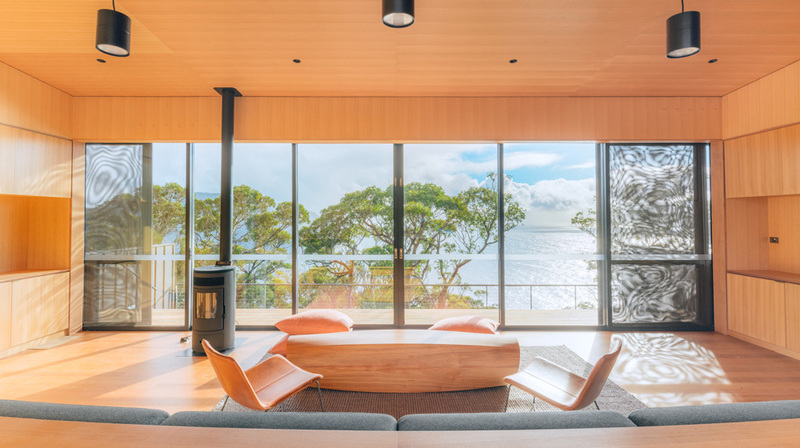 Tasmanian Walking Company (TWC) has officially opened Australia’s most anticipated and sustainable lodges with the unveiling of Three Capes Lodge Walk. 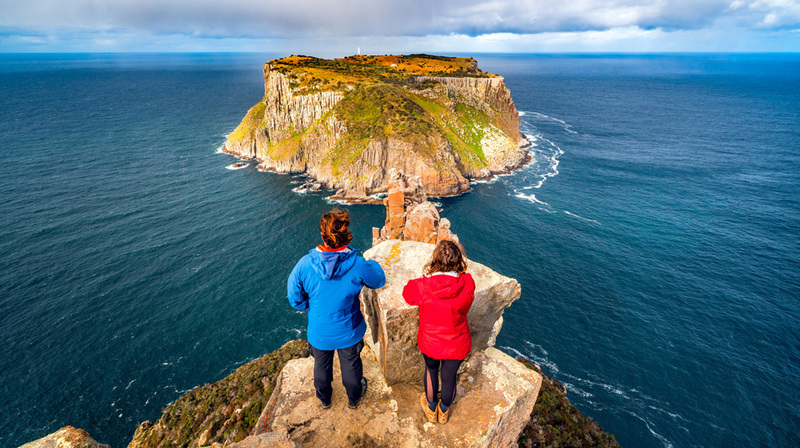 The four-day, 46-kilometre walk offers a fully guided experience of the ‘edge of the world’ Three Capes Track, and is the newest addition to the Great Walks of Australia collection. The opening reveals the extensive lengths Tasmanian Walking Company (TWC) has taken to preserve the ecology by using trailblazing initiatives. Three Capes Lodge Walk is the fourth multi-day walk for the market leader who is the only commercial operator entrusted with providing private lodge accommodation supporting a guided walking experience within the Tasman National Park. “Today marks an important milestone in Australia’s walking landscape and a new era of conservation-based tourism,” said Brett Godfrey, Co-owner. 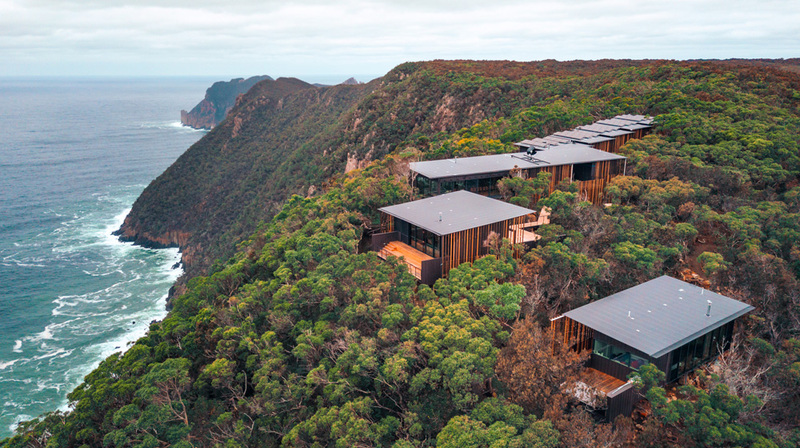 “We are thrilled to open Australia’s most innovative and environmentally sustainable lodges, and offer this unparalleled experience of the Three Capes. The opening signifies the next phase in our pursuit to redefine the current perception and raise awareness of Australia’s exceptional walking destinations and associated product offerings,” Godfrey said. The lodges are a reflection of the iconic and remarkable landscape and focus on ecological preservation, utilising best-practice environmental technologies from around the world. Predominately constructed with non-reflective Tasmanian materials, the buildings feature suspended floors to ensure minimal ground disturbance and separate roof structures that follow the contour of the existing landscape, blending seamlessly with nature. Lightweight modular sleeping pods are positioned beneath the tree canopy, with all servicing systems, water tanks and battery store hidden in a sub-floor beneath the main level of each building. Environmental technologies allow for future proofing as new technology is developed or refined. Advancements include Australia’s first recycling showers. The Swedish design filters and recirculates 5 litres of shower water and requires 80% less energy consumption. The innovative off grid renewable energy system has PV solar panels bolstered by Archimedes wind turbines, which are intrinsically safe to birdlife with no rotor tips. Birdlife is further protected through clever use of operable external timber screens to prevent birds striking windows. Three Capes Lodge Walk’s Crescent Lodge and Cape Pillar Lodge offer unrivalled and dramatic views of the Tasman National Park in every direction. 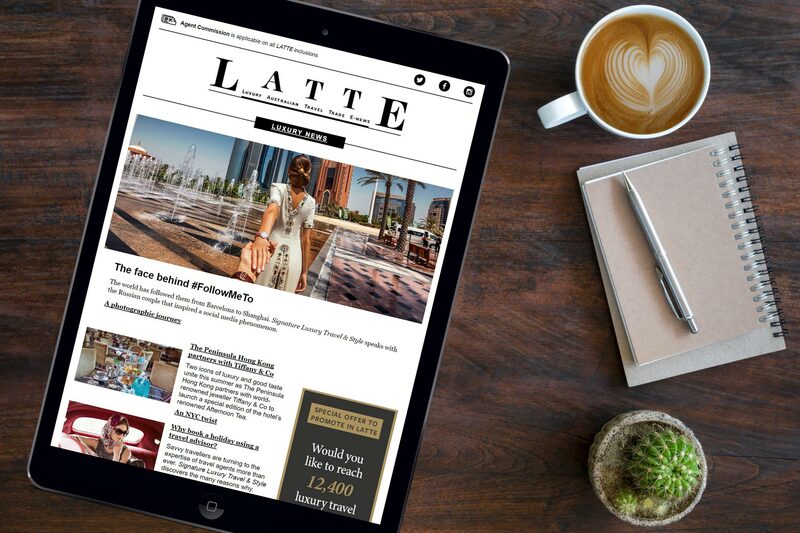 Providing the perfect fusion of sustainable living, creature comforts and contemporary design, the lodge draws inspiration from the rich cultural offerings of the region. Large sliding doors in the living and communal spaces invite the outdoors in, with simple earth-toned furnishings and natural exposed timber joinery made from trees removed during construction. The lodges feature seven double/optional twin rooms with floor-to-ceiling windows to continue the immersive experience. 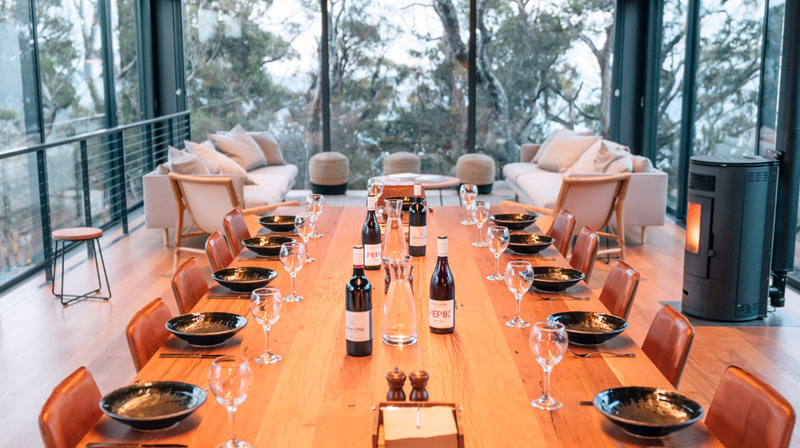 The lodge menus have been designed to harness Tasmania’s already flourishing food and beverage offering including fine wines and beers, as well as seasonal dishes made with locally sourced ingredients. 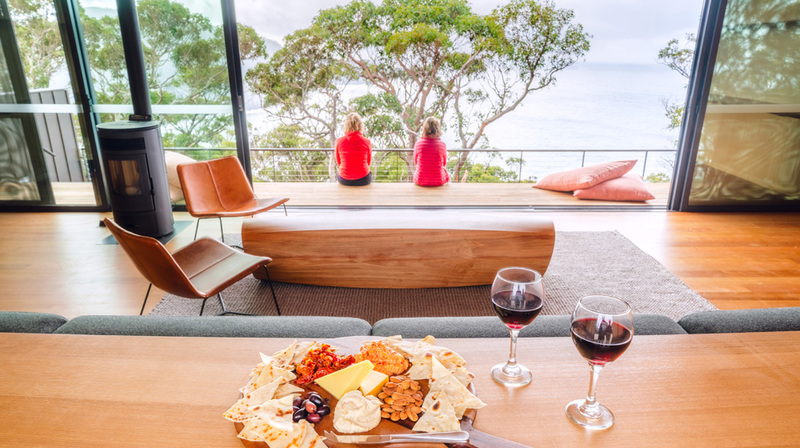 Guides creatively prepare three-course feasts at the end of the walking day while guests settle on a suitable outdoor perch, taking in the magnificent sunset with a glass of Tassie wine. The Relaxation Pavilion at Cape Pillar Lodge offers a private oasis of tranquility allowing guests to escape into an environment of rejuvenation and healing. The on-site spa therapist is available exclusively for walking guests and offers a range of massage techniques combined with Australian-made Li’Tya pure botanicals. The pavilion also features an outdoor bath nestled into the surrounding woodland. Three Capes Lodge Walk commences with a private boat trip to Denman’s Cove. Walkers venture along the coastal woodlands to Surveyors Cove and take in the staggering views from Crescent Lodge, across Crescent Bay and beyond to Cape Raoul. Day two invites walkers to climb Arthur’s Peak and skirt the edge of Tornado Ridge before retiring for the first of two nights at Cape Pillar Lodge. Day three commences with a walk through silver gum forest and out to the highest sea cliffs in Australia at Cape Pillar. The final day of the walk climbs to 483 metres above sea level to the walk’s highest peak, Mount Fortescue, and offers a stunning side trip to Cape Hauy before descending to the white sands of Fortescue Bay for sparkling wine and canapés to toast the four-day achievement.